Few companies have done more to pioneer the concept of stickers than Line, and now the Japanese company is democratizing sticker production after it opened a marketplace where anyone can upload packs to sell via its messaging app. Update (May 8): The Creators Market is now live. 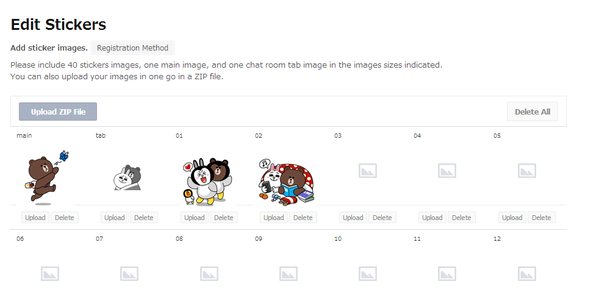 “LINE Creators Market is a service designed to let anyone create, submit, and sell their own stickers for use in LINE chats,” the company explains on its blog. Line first announced the initiative in February, and now it is opening the channel that gives creatives access to its 400 million-plus user base. For reference, Lines banks over $10 million per month just from selling stickers, and it says that users send 1.8 billion each day. Line says that all stickers sold via its platform must be exclusive to it. Before they go on sale, each sticker pack is vetted by the company, to ensure they do not infringe on existing IP and are free of “inappropriate material”. The company says that sticker creators will receive 50 percent of the net income of their stickers sales, once tax is taken out — there’s no word on price, but typically a pack of 12 stickers retails for between $0.99 and $2.99. Stickers from the Creators Market can only be bought by users in an initial four countries — Indonesia, Japan, Taiwan, and Thailand, where Line’s Web store is operational — but there are plans to widen that. Furthermore, stickers on the Creators Market won’t go on sale until May, which leaves you time to get doodling. This move is not likely to be a huge cash-cow for Line but it does encourage greater interaction and, by opening up to third-parties, Line can passively increase its stash of the large emoticon smileys. That’s important because the company believes that localized and compelling content is a big part of its appeal to users, and it fully intends to be a global player.